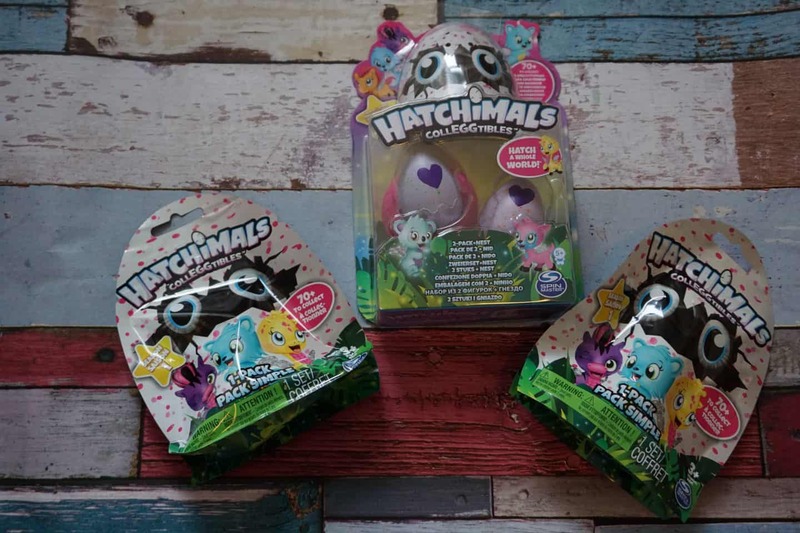 What is a Hatchimal CollEGGtible? 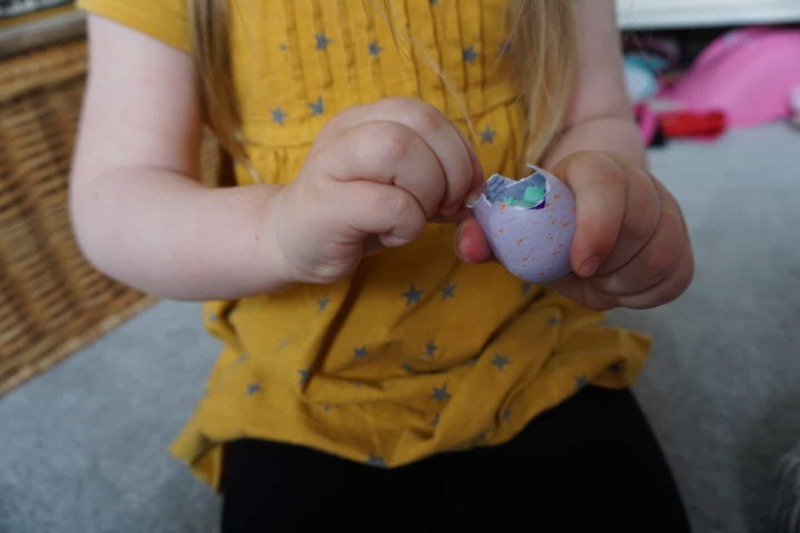 The original Hatchimal (which was last years Christmas must have, selling out all over the place!) is a battery operated moving creature, these are simpler as they don’t move but there a lot to collect and they’re far more portable too, not to mention cheaper! 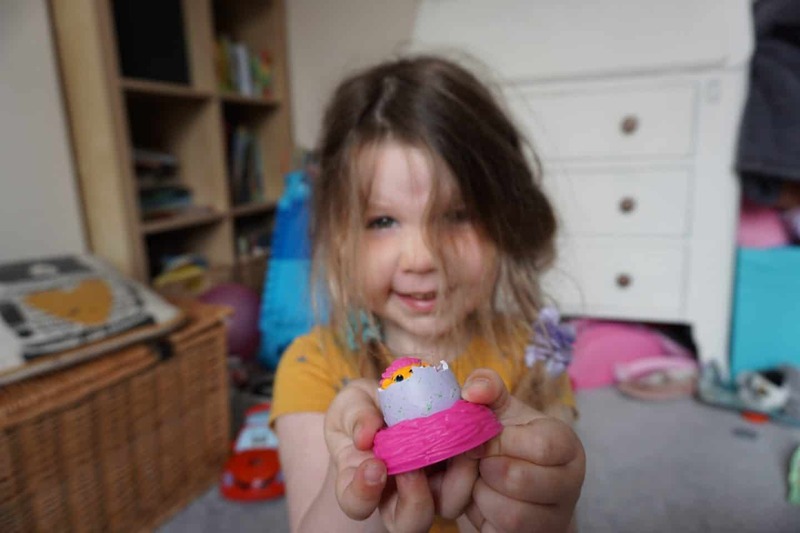 To find out more about the original Hatchimal you can read Clare’s review here. Each egg has different coloured speckles so you can align it with the hangout it comes from, and then there are rare ones too. 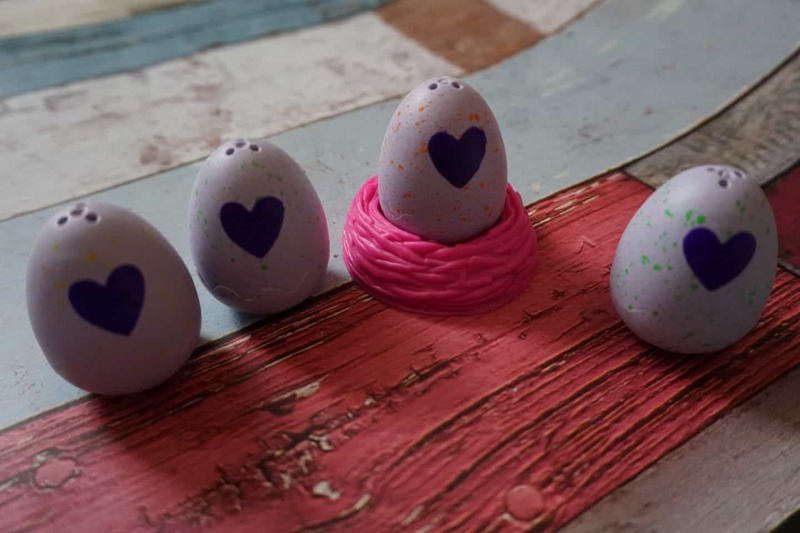 To get your CollEGGtible to hatch just rub on the purple heart on front of the egg gently. After a little while the heart changes to pink, which means it is ready to hatch! 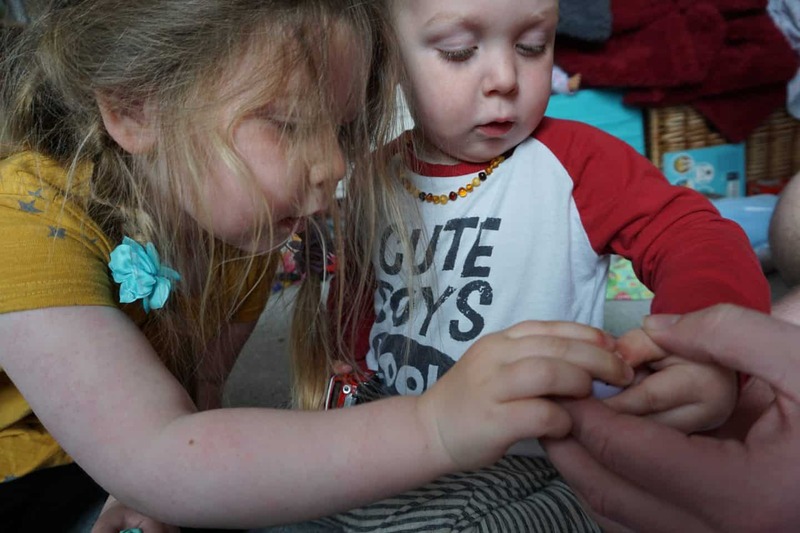 You just stick a thumb or finger in and pull the egg apart. 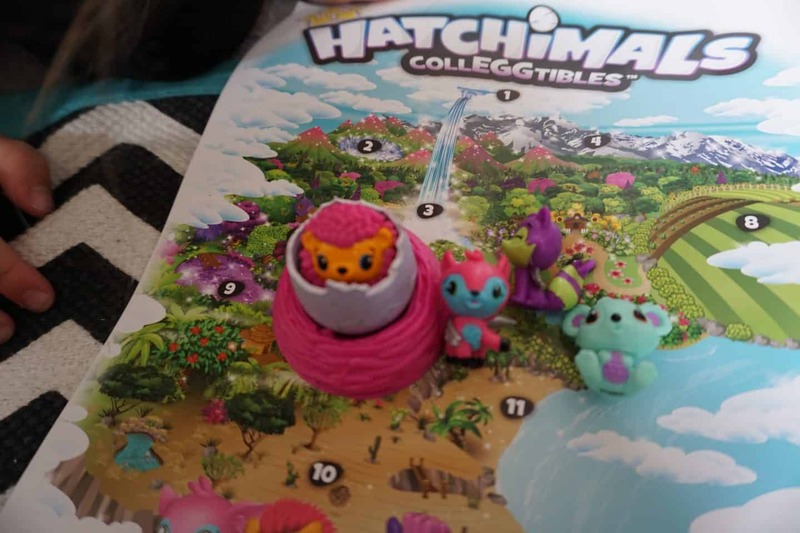 Once hatched, you can peel the top part of the shell down so your CollEGGtible can live in it, though the packs that have two eggs in have a little plastic nest to use as a ‘home’ for your creature. 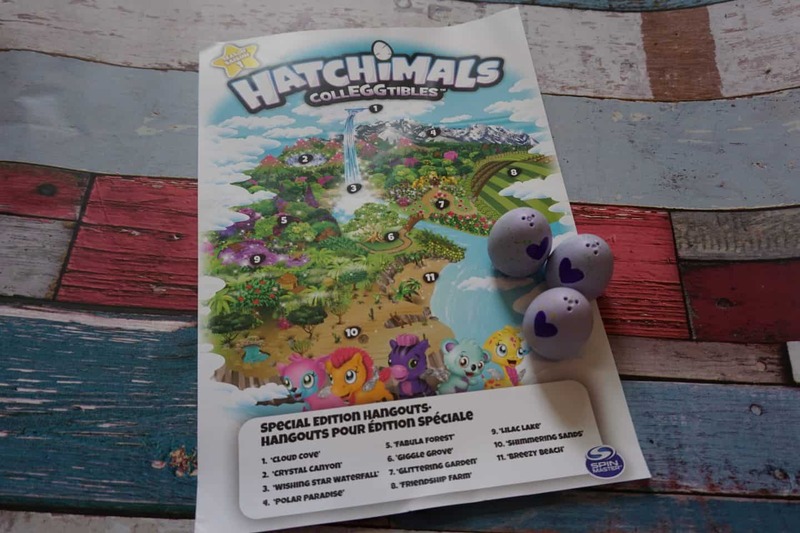 What do Hatchimals CollEGGTibles cost? 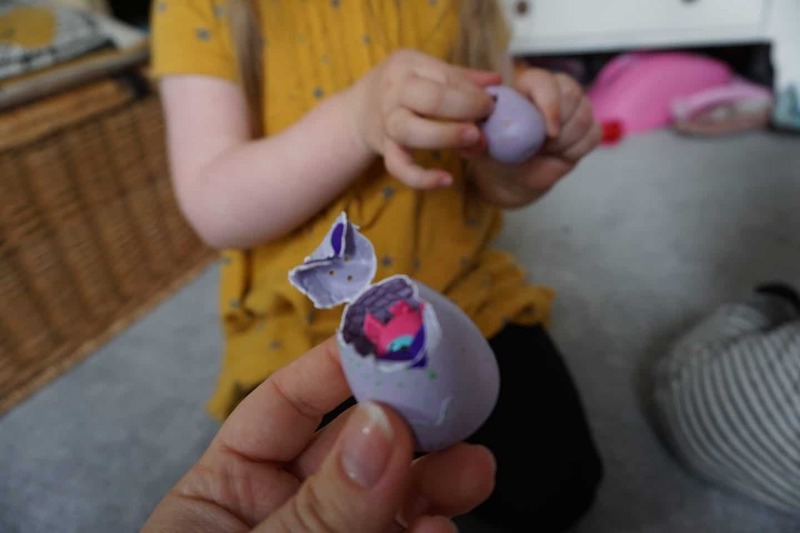 Blind bags containing a single egg are £2.99, packs with two eggs and a nest cost £4.99. Then a pack with four eggs plus a bonus character is £9.99. Where can I buy CollEGGtibles? At all good toy stores and online at Amazon. We were sent some CollEGGtibles for the purpose of this review, all words and opinions are my own. We were sent a selection of CollEGGtibles for the purpose of this review, all words and opinions are my own.